Haryana was the first state where Mobile Number Portability service launched on 25th November, 2009. From 20th January 2010 Pan-India/ rest of the country will meet such a mobile revolution as per press release by Press information Bureau. In Haryana near about 80,000 subscriber opted for MNP service since the launch date. Mobile service provider such as Tata Docomo, Vodafone, Airtel, Idea, Uninor and almost all started to campaign on their respective website on MNP by providing easy-to-switch option page. Regarding Campaign on Media like Television, Idea started to campaign much before their competitor. Idea is airing about their unique customer service and good network connectivity. The most innovative onsite campaign is by Vodafone. Such a nice presentation with their golden oldie Pug-Dog. Now, it’s time to see who bags the most switch. So, if you are not satisfied subscribe of your current provider then there is a damn simple way to get switched. Here is the way to switch. Just SMS, PORT<space>your mobile number to 1900. 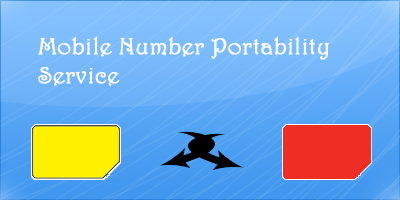 You will get a unique eight-digit alphanumeric code i.e UPC or Unique Porting Code. Just carry this code to your desired mobile service provider retailer with documents such as address proof, identity proof and a photograph. Pay only Rs. 19/- and get filled-up the form provided. Just Participate and vote on the Poll to help your friend and family to choose the better mobile service provider.